Ideal for loads up to approximately 800 lbs. Universal UNV89000 Lightweight Adjustable Hand Dispenser for Stretch Film Rolls 12" - 18"
Trust Lavex Industrial’s innovative 15" x 1476' 30 gauge pre-stretched pallet wrap / stretch film, to safely and securely wrap your product. 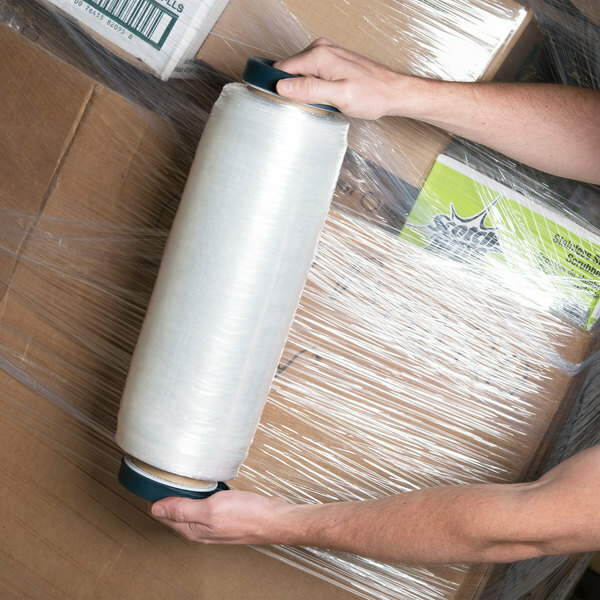 Perfectly pre-stretched, this Lavex Industrial 15" x 1476' 30 gauge eco-friendly pre-stretched pallet wrap / stretch film is guaranteed to maximize efficiency! This wrap serves as an environmentally-friendly option in your operation thanks to its maximum strength with minimal environmental impact and carbon footprint. It's ideal for hand-wrapping pallets of lightweight product or for bundling packages for shipping and storage. You can be confident that this Lavex Industrial film will get the job done! Upon disposal, biodegradable products are capable of being broken down by biological microorganisms, without harming the environment. "Very happy with the price of this stretch wrap. I ordered for my crews and have saved a lot on the pre-stretched rolls. Very strong, yet not overly tight that we can't make the film conform to products. 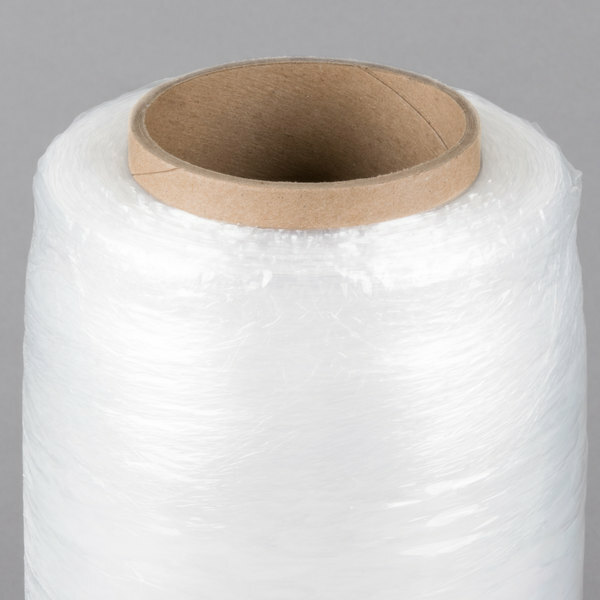 We wrap furniture blankets around items and this holds everything perfectly!…"
Made of clear cast LLDPE (Linear low-density polyethylene plastic), this lightweight stretch film will provide you with a safe, secure cling. It's a classic, no-frills choice for keeping product protected from the elements. 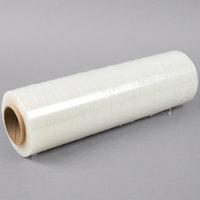 This film is pre-stretched to its ideal length to give users load stability with less product, less physical energy, and with greater control. Boasting a 3" diameter core, this film fits comfortably on most dispensers for quick and efficient use, time and time again. Plus the 15" width allows you to easily maneuver around product. 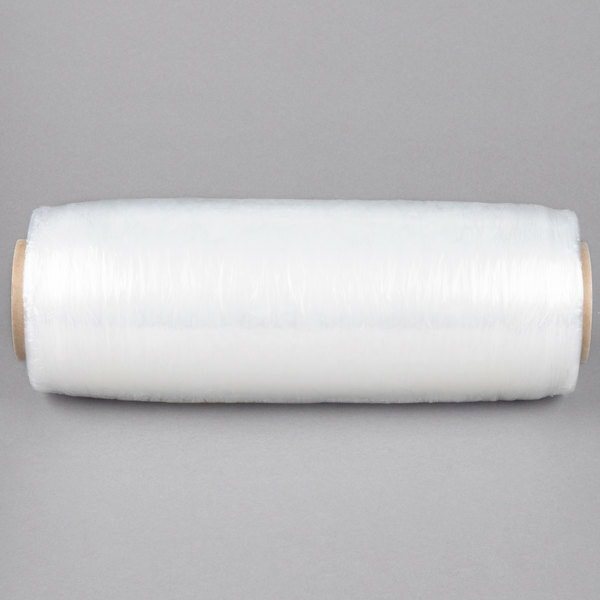 The clear cast construction makes this wrap ideal for use with RFID and other scanning technology, while ensuring quieter unwinding than with its blown counterpart. You can depend on Lavex Industrial products to keep your restaurant, store, healthcare facility, or office safe and well stocked. They offer exceptional supplies you need every day at a price that won't break your budget! Bring Lavex Industrial to your business to keep your safety industrial products stocked and ready to use! 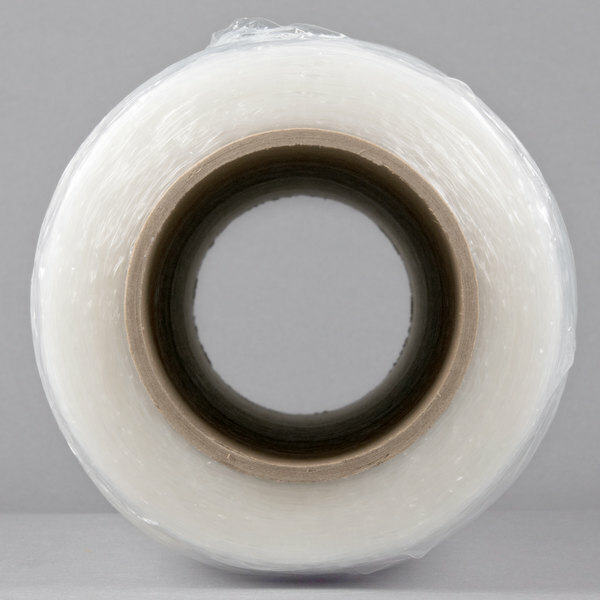 LLDPE stands for Linear Low Density Polyethylene. 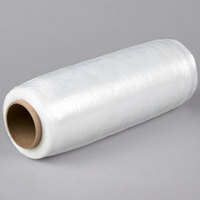 It is the most flexible stretch wrap material, as well as the most common. 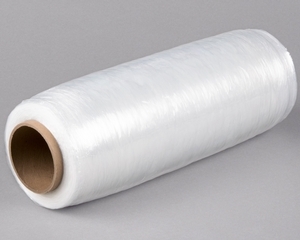 LLDPE is a polyethylene with a density < 965 kg/m, produced by a low pressure process. It's clear in color, making it great for optimum product visibility in storage and transport. 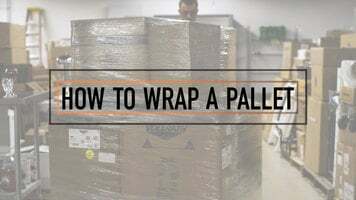 Increase product safety and stability on pallets in your warehouse by learning the proper way to wrap a pallet! These tips will help you correctly secure boxes so they don't fall off the pallet and get damaged during transport. Get the products in your warehouse ready for safe transportation by properly film wrapping your pallets. For your convenience, you can use the film dispenser to effortlessly hold and dispense the film while you walk around the pallet. But you can also wrap pallets with the just the film roll! First, secure your film by either tying it to the wooden base, or by wedging the end between two boxes on the pallet. You will want to start wrapping at the very bottom, being sure to cover at least 1” of the wooden pallet, if not more. This secures the product to the base so it doesn’t slide or tip off. This is the most important part of wrapping your pallet. Then, wrap around the base completely at least twice, and for heavier loads you can go around 4 or 5 times for even more stability. While wrapping, hold the film about 10” from your pallet and walk forward. For stretch or pallet film, stretch the film about 30%-50% around the corners, being sure to hold tension in the film to give a tight, secure wrap. Moving up, you will want to have at least 50% overlap from one layer to the next for added strength. Once you reach the top, stretch the film around the top corners and pull slightly downwards, so you secure about an inch of film over the top of your pallet corners. Now that your pallet is securely wrapped, you can count on the safe transportation of your products! Very happy with the price of this stretch wrap. 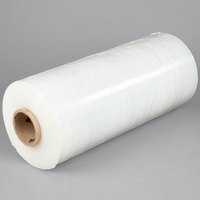 I ordered for my crews and have saved a lot on the pre-stretched rolls. Very strong, yet not overly tight that we can't make the film conform to products. We wrap furniture blankets around items and this holds everything perfectly! I recommend use with the Hand savers item #182DPD204. works like a charm!